So much of my mom life is spent in waiting rooms, lobbies, and my mobile waiting room (aka, the car). Yesterday, I found myself waiting my way through a doctor appointment followed by a haircut. Between books and sick of scrolling through Instagram, I picked up a couple of magazines. I LOVE magazines. Whoever says print is dead, is dead to me. I love the feel of the lightweight coated paper between my fingers. And my favorite magazines mean talented editors at the mast who curate inspiring, beautiful, and sometimes surprising content in a layout that’s at once striking and flowing. I. Love. Print. Magazines. When I find myself playing the waiting game, and I actually have time to read a magazine or two from cover to cover (I read from back to front, does anyone else do that? ), I devour them like a pint of Halo Top ice cream. What a friend we have in cheeses. I must admit, I borrowed that headline from an editor I worked for years ago in Charlotte. It’s still my favorite of all time. And it suits these beautiful appetizers that I think I could actually make myself. Look how pretty! 2. Seedy. I can do so well with my diet, but lack of a good snack in the car or at night always gets me in the end. This spin on sunflower seeds sounds so munch worthy. 3. Leaf conquers all. I’m forever in search of a salad that sounds better than pasta or a sandwich. This one fits the lunch bill, plus it makes enough for four days! 4. Something in ramen. This recipe for ramen looks way better than the stuff I made in college (and let’s face it, still sometimes make late night), and it sounds like it could actually live up to its “easy” promises. 5. Shake what your mama made ya. They describe this meditation jar for adults, but I want to do this craft with my kids and make one for each of them as well! 6. Here comes the sun (screen). And I say, it’s more than all right. All this time I’ve been looking for a daily SPF lotion to wear under my makeup. Why didn’t I think of something like this setting mist? Brilliant! I love websites, but print magazines will always hold a special place in my heart. Do you prefer print magazines or websites, or both? 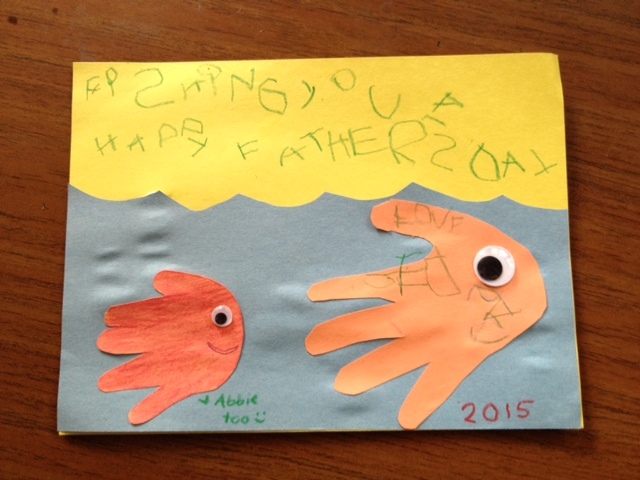 Father’s Day Craft — It’s Not Too Late! It’s so great having a dad in your life who’s a cliche. 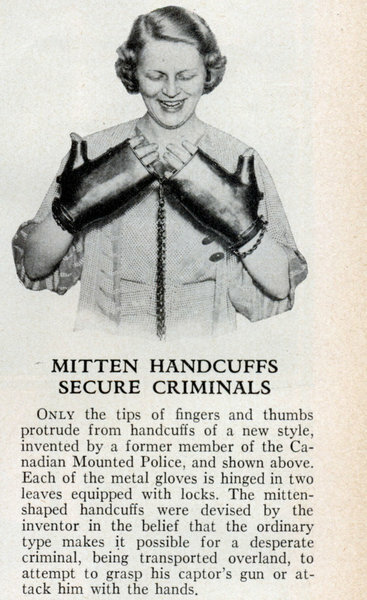 There are so many more Father’s Day craft ideas out there when Dad loves fishing or golfing as opposed to say, handcuff collecting. We let him choose the theme. It took him about half a second to decide on bugs. For anyone planning a boys’ birthday party, here’s a little insect inspiration. With a 3-5pm party time, I didn’t have to worry about a full-on meal and instead went with filling, healthy (bug) bites. We went all out with bug-themed snacks and an a-MAZE-ing cake from DOUGH, my favorite client and bakery in Asheville. Caterpillars made from grapes with white frosting and mini-chocolate chips for eyes, put together on toothpicks. P “Bee” and J: mini sandwiches in the shape of bugs, using bug cookie cutters. If I could go back in time and teach myself balloon art rather than babysit, I would. In Asheville, a super smart kid who goes by Mr. Twister, has it made. He’s adorable, great with the kids and super talented. He made bug balloons for all of our guests including this dragonfly for me:) He even learned two new balloon bugs just for Jed’s party. I didn’t do too much in the way of decorating. I used some burlap fabric I had leftover from a Baby Q that I hosted last year, which I used for the table cover and made this very nifty Very Hungry Caterpillar out of balloons. I figured with other bug balloons bouncing about and bugs scattered all over the house, that was enough. And being close to Halloween, I was able to take advantage of a bunch of spider stuff out there, like for napkins and plates and our spider pinata. The pinata was probably overkill — had plenty to fill the two hours without it– but I thought I was self-editing when I held back on the two bug crafts I had planned. No one can say there wasn’t enough to do! In addition to the pinata candy (organic and low on sugar from this dentist’s daughter) and scavenger hunt bugs, kids brought home favor bags with Spiderman bubbles, glow-in-the-dark bug stickers and bug tattoos. With disposable yet recyclable plates and a very helpful mother-in-law, clean-up was a breeze! And, most importantly, everyone including parents seems to have a good time. I’m obsessed with the Cuppow. It’s one of those “why didn’t I think of that?” inventions that’s so clever, I never would’ve actually thought of it. It basically turns your mason jar into an adult sippy cup. When you replace the mason jar lid with the Cuppow, you only keep the rim of the lid, leaving you with a metal circle. I hated the idea of discarding it, so I kept it around until I finally found its purpose in my kitchen as a spoon rest. I also found these other ways to use your Cuppow castaways via Pinterest. Do you have any mason jar lid uses to add? $13 for your customized version of this design. They responded quickly and offered great customer service. If you haven’t had a broken printer on your to-do list for two years, you could print these out yourself from the final PDF or jpeg. I had it done at a UPS store on cardstock at a very reasonable price and bought invitation-sized envelopes from Staples. I can’t tell you how many compliments I got on these! Our gracious guests of honor actually offered up their home for the party. It worked out well, with their flat lawn for table and games, a nice partially covered deck, and no hauling loot post-party back to their place. Win, win! Cheese Spread Duo: Pimento Cheese (my mom’s famous recipe) and Three Graces Dairy goat cheese from right down the road in Marshall, NC, served with an assortment of crackers. Veggie Tray with Ranch dip. The etch-it labels for claiming cups were a huge hit with kids and adults! Watermelon, blueberry and feta salad. Photo from readbreathe.com. Potato Salad, recipe from Brown-Eyed Baker. We left out the eggs. I’m not a potato salad person, but was thinking of the greater good. It went over very well! Watermelon, Blueberry and Feta Salad, recipe by Kath Younger. She shared it in the August 2011 issue of Breathe Magazine. I used fresh basil rather than mint. I recruited help from a friend to put together a garden salad. She created her own crunchy topping and a homemade dressing. The dessert table: mini cupcakes in vanilla and chocolate, Guinness brownies a la grandma-to-be, and a bouquet spray of fruit twists in various colors and flavors from Fresh Market. I love their candy section! Guests could write advice, words of wisdom and well wishes for the parents-to-be. I love the Denyse Schmidt fabric I found! Nothing makes me feel better than hearing how easy it was for a group of seventh graders to do something in ten minutes that took me two trips to the fabric store. One of the women said she’d tried this with both a regular stapler and staple gun. She said a regular stapler worked much better. I beg to differ. We had a buffet inside with a separate dessert table. Appetizers and drinks served on the deck. I used burlap fabric for table covers and small mixed bouquets from the farmers market (bought that morning) in everyone’s favorite party accessory, mason jars. We bought three types of barbeque sauce by the quart from Asheville’s famous 12 Bones Smokehouse. We redistributed them into mason jelly jars and gave them cutesy baby names: Western Carolina Girl (tomato), Sugar ‘n’ Spice (blueberry chipotle) and Temper Tantrum (spicy mustard). Folks with kids (with bedtimes) could see their gifts opened and still be home at a reasonable hour. Some stayed a little later. When I left at 9:15, the Mexican Lager was kicked, but the Pale Ale was still flowin’. A good time was had by all. A special thanks to our elves Jennie and Michael. Lesson learned: even when there aren’t a lot of games planned, there’s A LOT to do between sending out invitations and making the food. The devil is indeed in the details! Measuring accurately to keep that inch and a half of negative space between the top and bottom row of pictures drove me to the brink of insanity… and turned my wall into baby Swiss. Much like a new nurse with her first patient trying to find that pesky vein. Lots of trial and error (despite my measuring tape and level). Lots of holes. I never thought of myself as a Martha girl before. Is Martha changing or am I? Are you on Pinterest yet? I’d love to see what strikes your fancy! Click the red “P” button in the sidebar to follow me on Pinterest. After a few frustrating days of tutorials gone wrong and misleading “build your own banner” sites, I decided to take blog design matters out of my own hands. I could not afford a full-blown package , and decided I could get the best bang for my buck by hiring someone to resdesign my banner and a coordinating grab button a la carte. Choosing a couple of items a la carte rather than an entire package is a great way to update your look without emptying your bank account. I found Tiffany (TKC Designs) through the Blog Designer Network. I actually did not look close enough and chose her off the Blogger designer list, but she was willing to work with me anyhow and give WordPress a go. Since it was just a banner and she only needed to work off my specs, it wasn’t too big a deal. 1. As a designer, her site is her sales pitch. It was clean, feminine, attractive, not too busy. I could tell she knew how to edit and not overdo things. I could tell she had talent. 2. When I read about her, I found that she was also the mother of a two-year-old living in the South who worked from home when she could squeeze it in, so I liked that we had that connection:) I believe in hiring a person, not just a service. I am very picky about design. I did not know exactly what I wanted, but I knew what I didn’t want and had a vague idea of what I wanted. She was so sweet and wonderful to work with: responsive, efficient, flexible and a very positive attitude. I tried to be as detailed as I could in filling out her questionnaire, because I know from experience in the industry, the worst thing you can do for a graphic designer is be vague, with directions like “be creative”. I was so impressed when she nailed it on the first try! So very impressed that we dabbled with a second option just to be sure. But it was love at first sight. Like that rare time you find the dress at the first store you go to, the first one you try on… you still have to shop around a little just to absolutely certain. Seriously, could not be happier with my new look. Thanks, Tiffany! The “lightsaber” is a glow bracelet. How clever is that? Kudos to Mack’s mom! Please pardon the mess while my blog undergoes a few cosmetic changes. I’m attempting a DIY mini-makeover (add a widget here, new font there), which will mean the blog might appear different from visit to visit before I settle on a final look. I will continue posting during the process. Thanks for your patience and stay tuned for the big reveal!